Colorado is one of the most attractive states for students looking to receive a premier education that won’t cost them a fortune. The Centennial State is actually one of the most affordable places to study in thanks to its relatively low cost of living compared to the rest of the country, which works out considering that it is also ranked among the Top 5 most educated states along with California, New York, Massachusetts, and Maryland. Colorado is also ranked in the Top 3 U.S. states for economic competitiveness and Top 5 for entrepreneurial activity. As a student you’ll also have plenty of outdoor recreational activities to enjoy, including more than 200 parks, 54 snow-covered mountains, and 26 ski resorts. With all the hiking, rafting, and backpacking going on it’s no surprise that Colorado consistently ranks among the healthiest and fittest states in the nation. Rocky Mountain College of Art and Design is a unique art school with a community of creative minds dedicated to the personal success of every students, whether they be involved on campus or via online courses. A perfect balance of support and freedom allow the educators, innovators, and professionals at RMCAD to help students thrive as artists and designers while finding their own path and voice. The school is also proud of their welcoming community of artists who are recognized for their individuality and skills. Creating a financially sustainable model of higher education is also a constant goal so you can get the training you need and not come out drowning in debt. Rocky Mountain College of Art and Design was founded in 1963 by Philip J. Steele, a well-known educator and illustrator who wanted to provide an art training program based on the traditional, academic technique of painting and drawing that dates back to the Renaissance. Since then it has grown to provide training for cutting-edge careers like 3D animation, game art, and more. RMCAD offers the perfect program if you want to actually be a part of the pre-production stages that go into making games. This includes things like animation, concept work, and everything that goes into building worlds and characters that players can enjoy. If this sounds like your cup of tea, consider the Bachelor of Fine Arts in Game Art offered here. The Game Art program has been designed to focus on creating captivating content for games that aids in telling a worthwhile story. This includes a wide variety of courses that teach you how to craft engaging narratives through character development, level design, motion studies, and animated storytelling. The small classes sizes at RMCAD also give you the opportunity to receive one-on-one attention from both classmates and faculty, which is uncommon at most major universities. This environment allows for better team learning and collaboration while you work with peers from different degree programs to sharpen your own artistic skills. Notable core classes required for a B.F.A. in Game Art include: 3d Modeling, Character Rigging, Character + Level Design, Drawing, 2D and 3D Design, Game Animation + Motion Capture, and Strategy + Psychology in Games. Portfolio review courses are also required that have you present original art and design work. This is easily one of the best game design programs in the nation for anyone looking to break into the industry as a game artist. You will receive training in just about every area of game art creation, including world building, character creation, storytelling and more. Few game design programs also provide as much variety as this one. You’ll be more than ready to work at any game studio with this degree since it covers everything from scriptwriting, 3D modeling, character generation, level design, character rigging, lighting and texture, production, and even the business end of game development. Tuition rates for the 2015-2016 academic year for undergraduates was $464 per credit hour for online programs and $594 for on-campus programs. Undergraduates in an MA program paid $849 per credit hour with audit/non-credit being the same. All students can expect a one-time application processing fee of $50 and varying costs for technology. Dating back to 1861, the University of Colorado Colorado Springs has one of the richest histories of any school in the state. Since then it has grown to offer 35 Bachelor’s degrees, 19 Master’s degrees, and five Doctoral programs in countless fields. More than 11,000 on-campus students and 2,000 online students are a part of UCCS each year, making it one of the fastest growing universities in Colorado. Accolades include being ranked 13th among Western regional public universities and sixth nationally for public undergraduate engineering. US News & World Report has also recognized UCCS as one of the best colleges in terms of business programs and engineering programs. The school is also recognized for its premier campus life. This includes a 54,000 square foot Recreation Center with cardiovascular and strength training equipment, a gymnasium, indoor track. lap pool, and rock climbing wall. There are also 14 men’s and women’s athletic teams. 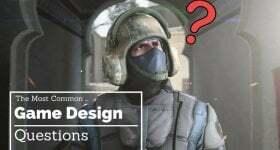 In 2005 an interdisciplinary team of faculty formed the Game Design and Development Program Committee to propose a Bachelor’s degree in Game Design and Development, which was approved and began being offered in Fall 2007. The program was designed to prepare you for a career as either part of a game company or via your own indie game dev company. This is done by focusing on the basics of game design and development as well as the business, technical, and creative thinking side of game creation. You’ll also cover serious game made for more than entertainment, including simulation, training, education, healthcare and more. Note that this program is computer science intensive, which means programming will be expected. Courses you will have to take include Introductory Programming for Game Developers, Fundamental Game Design Concepts, Artificial Intelligence for Games, Computer Graphics, Intro to Game Design and Development, Advanced Data Structures in C++, and more. This degree program is perfect if you want to become a skilled and efficient programmer capable of joining a renowned game company or starting his/her own. However, if you were expecting a game design program that also touches heavily on the art and storytelling side of games, you’re out of luck. The B.I. in Game Design & Development will require knowledge of math, physics and programming, which means it isn’t recommended if you want to develop skills in the art side of game creation. Tuition rates for undergraduate non-resident students is based on the number of enrolled credit hours. Non-resident freshman are charged $675 per enrolled credit-hour starting Fall 2014 while non-resident business graduates pay $1074 per enrolled credit-hour. Housing ranges from $4,575 and $6,075, depending on the bedroom type and location. There are also three meal plans available: 55 Meals + $250 Flex Dollars ($620.00), 75 Meals ($499.00), and 30 Meals ($199.00). Aims Community College is a two-year college offering more than 160 degree and certificate programs across four different locations: Greeley, Fort Lupton, Loveland, and Windsor. The school was founded in 1967 by Kirby Hart in a time when no higher education schools were available to the people in northern Colorado. Approximate annual tuition costs for Aims Community College average around $8,500 for all students. Aims offers aspiring game designers a two-to-three year program in the form of an Associate of Applied Science in Graphic Design & Rich Media: Animation. This is a game design degree that emphasizes the technical side of game creation, which includes programming as well as software knowledge. Programs you’ll be expected to learn include Adobe Photoshop, Adobe Illustrator, and Maya. You’ll also be required to take plenty of programming and graphic design courses such as Sculpting for Digital Media, 2D Animation Production, Motion Graphic Design, Typography and Layout, Client-side Scripting, and more. Between degree and general education courses, total credits for this A.A.S. degree is 60. This program is a great choice if you want to join the gaming industry as a graphic designer and/or animator capable of using a computer to create characters, stories, and worlds. As mentioned above, you will receive training in a number of cutting-edge software and programming knowledge, which means an interest in computer science is recommended. Even though one art course is required (Drawing, 2D Design, 3D Design, or Figure Drawing), this program’s drawback is that it doesn’t cover the artistic or storytelling side of game development that doesn’t require programming knowledge. Standard tuition per credit hour is approximately $64.50 for in-district students, $97.00 for out-of district students, and $405.00 for out-of-state students. Low Differential (Fire Science, Communication Media) tuition per credit hour is $115.00 (in-district), $189.00 (out-of district), and $563.00 (out-of-state) while Medium Differential (Surgical Technology) is $120.00 (in-district), $198.00 (out-of district), and $591.00 (out-of-state). Westwood College offers associate degrees that can be completed in as little as 17 months, which is perfect if you want to receive a high-quality education in as little as possible. 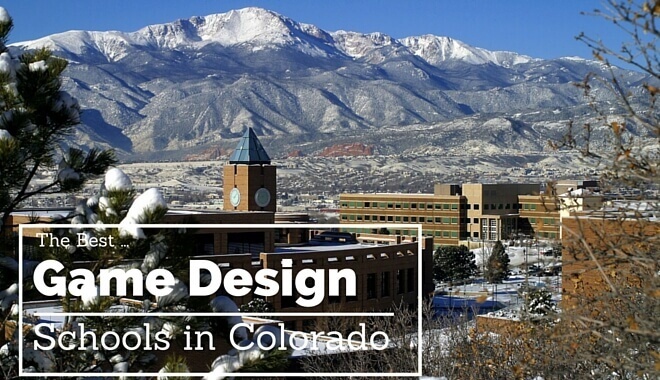 Two locations are available in Colorado, one in Aurora and one in Denver, and both offer an Associate Degree in Graphic Design you should consider if you’re considering a career as a game artist. Westwood has a Graphic Design program that will give hands-on experience with the fine art, marketing, and computer software knowledge needed to visually communicate ideas to others. Along the way you’ll build an impressive portfolio that will help you stand out when applying for a job at a game studio or other place. Courses focus on the following topics: Drawing and Perspective, Fundamentals of Digital Illustration, Fundamentals of Web Design, Audio-Video, Digital Photography, and Image Editing. The strength of this program is that you’ll receive instruction in a number of areas that are useful to a game artist, including industry-relevant software such as Photoshop, Dreamweaver, InDesign, and Illustrator. At the same time, this program is only an Associate’s degree and thus not as substantial as one of the other four-year programs on this list. Of course, if all you want is a taste of graphic design to see if it’s really for you, this degree is the perfect way to find out. 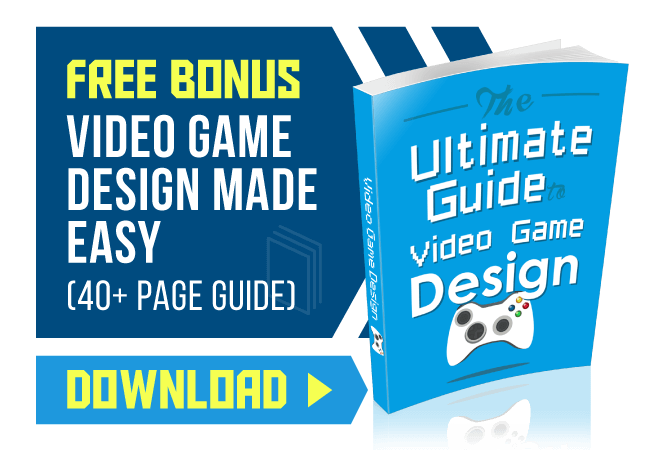 While there isn’t a vast number of colleges for video game design in Colorado that offer programs for aspiring game designers, the ones available will more than prepare you for a career in the video game industry. Whether you want to become a renowned designer with your programming and computer science skills or prefer an artistic approach to game development, there’s something for you at one of the five schools above. When it comes to job opportunities in Colorado, you’ll most likely find yourself seeking elsewhere. We say this because there aren’t too many notable game companies with the few exceptions being Backflip Studios (Dragonvale, Epic Island, GI Joe: Strike) and Disney Online Boulder Studios (http://games.disney.com/). You’ll most likely find yourself seeing employment in the West Coast where a host of game companies are looking for their next hire.